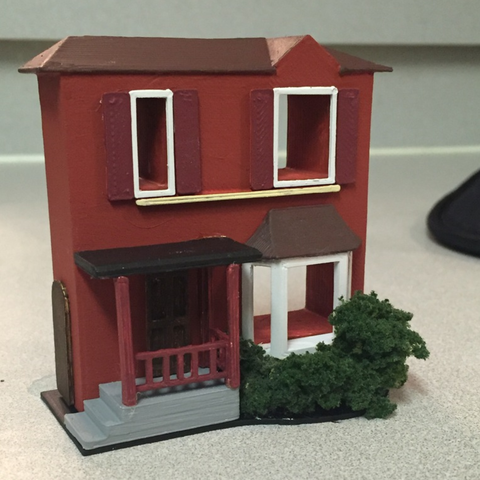 I only sanded the front and the sides of the "frame" main house body. 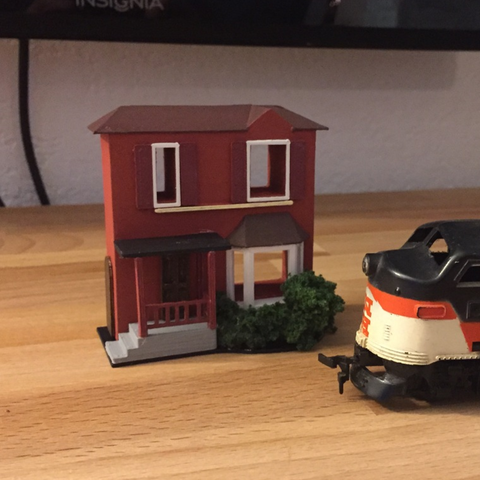 I printed the house on its back. At 0.2mm layer height this gives a nice shingle look to the roof, leaving it unsanded. All other components were sanded as need be.